Libyans of three categories will now be able to obtain a visa at Amman airport. The Tripoli-based Libyan state news agency LANA, reports that Jordanian authorities have eased visas for certain categories of Libyans. 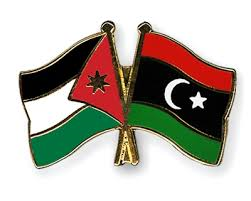 The report says that the Libyan embassy in Amman Jordan has reported that the Jordanian authorities have relieved three categories of Libyan nationals from the need to obtain a visa prior to arrival. These three categories are: those over the age of 50 seeking medical treatment; children under 15 years old; and all women of all ages. All three categories can collect their visa at Amman airport on the condition that they and their medical companions hold a valid return air ticket.